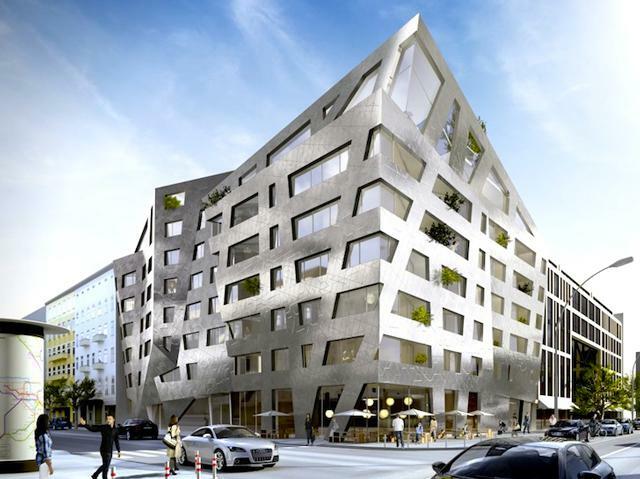 Architect Daniel Libeskind recently revealed ambitious plans for a Berlin apartment building that literally breathes like a plant by using sparkling ceramic tiles that consume carbon dioxide from the air and release oxygen back into the atmosphere. The method behind the design of the eye-catching pointed façade is that its ceramic tiles possess air purification and self-cleaning properties that aim to offset the buildings greenhouse gas footprint. Libeskind Studio more known for their sharp flair design of skyscrapers will also utilise natural light with the inclusion of huge asymmetric windows aimed at reducing our reliance on artificial lighting and lowering the electricity bills of the apartment building.